But there it sits nevertheless, licking its chops. The transient Fourier heat conduction equation of classical physics has served well in the thermal management of conventional electronics using commercial finite element (FE) programs such as ANSYS and COMSOL. However, heat transfer in nanoelectronics is governed by QM and not classical physics, QM stands for quantum mechanics. The peculiarity of QM is that the heat capacity of the circuit element vanishes. Joule heat is no longer conserved by an increase in temperature. Instead, conservation proceeds by the QED induced frequency up-conversion of Joule heat to non-thermal EM radiation. QED stands for quantum electrodynamics. The EM radiation emitted from the nanostructure above is not thermal radiation, but rather non-thermal QED induced radiation that is a consequence of the vanishing heat capacity of the atom at the nanoscale by QM.. Commercial FE programs based on classical physics that assume the atom has heat capacity are not valid for heat transfer of nanoelectronics. MicroTherm 2013 allows people involved in solving thermal problems in electronics to meet and to present their ideas and achievements in the field of thermal management. 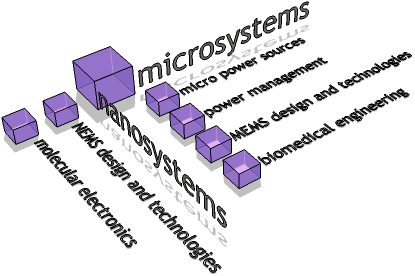 The scope of the Conference covers the subjects connected with extreme temperature, electronics, sensors and measurement techniques, modelling, simulation, wide band-gap materials, packaging and reliability, renewable energy sources and photonics with special emphasis on microelectronic technologies. Fourier’s transient heat conduction equation has served well in the heat transfer of conventional electronics. However, unphysical findings in the applications of Fourier’s equation to the heat transfer of nanoelectronics having sub-micron circuit elements have suggested Fourier’s equation needs to be modified. In this regard, the Fourier’s equation is modified for nanoelectronics by imposing vanishing heat capacity as required by QM in combination with the conservation of Joule heat by frequency up-conversion to the total internal reflection resonance of the circuit element by QED, the consequence of which is Joule heat is dissipated by the creation of excitons (Holon and electron pairs). QM stands for quantum mechanics and QED for quantum electrodynamics. The holons charge the circuit element as the electrons escape to the surroundings or upon recombination EM radiation is emitted to the surroundings. The 2013 Nobel was awarded to Martin Karplus, Michael Levitt and Arieh Warshel for their development of simplified MD methods to simulate the behavior of molecules at various scales, from small molecules to the large proteins in drug design. However, the 2013 Nobel actually recognizes the field of computational chemistry itself rather than particular individuals and certainly was not awarded for the discovery that simplified MD reduces computational resources. In retrospect, the Nobel committee could have selected more prominent MD computational scientists like William Goddard and Michele Parrinello, but did not. In effect, the 2013 Chemistry Nobel was implicitly awarded to every computational scientist who simplifies MD. Laureates Karplus, Levitt, and Warshel combined QM with classical statistical mechanics to simulate molecular motion using simplified force-field models for various energy dependencies as shown in the thumbnail. But this is not unusual as the MD community knows full well simplified methods are always required to limit computational costs. However, the simplified MD approach still requires experimental data and supporting QM calculations, and may need to be repeated many times perhaps taking as much overall time as the full QM solution. The 2013 Nobel directed to simplifying MD in the field of computational chemistry by a combination of classical physics and QM although valid for the continuum does not address the validity of the MD solutions for discrete molecules or nanostructures. Unlike classical physics implicit in MD, the problem is QM requires the heat capacity of the atoms in discrete molecules or nanostructures to vanish, and therefore the thermal kT energy of the atoms cannot be related to their momenta. Here k stands for Boltzmann's constant and T for absolute temperature. Alternatively, if the simplified MD simulation is made according to the 2013 Nobel award, the MD solution is still invalid by QM. The Planck theory of blackbody radiation giving the dispersion of photons with temperature has served well in the radiative heat transfer between surfaces at the macroscale. Recently, near-field heat transfer by evanescent waves in nanoscale gaps based on solutions of Maxwell’s equation is claimed to exceed by 3-4 orders of magnitude the heat transfer given by Planck theory. However, the Maxwell solutions are questionable because QM precludes the atoms in the surfaces adjacent the gap surfaces under EM confinement `from having the heat capacity to allow the temperature fluctuations necessary to satisfy the FDT. QM stands for quantum mechanics, EM for electromagnetic, and FDT for fluctuation dissipation theorem. Analysis is presented that shows bulk temperatures far removed from the gap do not exist at the gap surfaces, and in fact the temperature differences across gap surfaces tend to vanish. Hence, the Maxwell solutions that assume bulk temperatures abruptly change across gap surfaces over-predict the enhancement of near-field heat transfer by evanescent waves. Instead of evanescent waves, heat is transferred across the gaps between bodies by QED induced tunneling of EM radiation thereby allowing Planck theory to remain valid without modification for nanoscale gaps. QED stands for quantum electrodynamics. Over the past decade, the observation of significant stiffening of nanowires or NW’s has been reported, although some findings suggest there is no stiffening. Because of this uncertainty, research on the mechanism for NW stiffening has been a subject of great interest. Mechanisms that depend on high surface-to-volume ratio of NW’s including surface stress and strain have been proposed to explain stiffening, but cannot explain observations, e.g., NW’s in tensile tests increase rather than decrease in diameter as expected by the Poisson effect in classical elasticity theory. Like other observations at the nanoscale, NW behavior in tensile testing cannot be interpreted by classical physics. QM differs by precluding the atoms in NW’s from having the heat capacity to conserve the absorption of EM energy by an increase in temperature. QM stands for quantum mechanics and EM for electromagnetic. In tensile tests, the temperature of the grips that hold the NW during the tensile test do not increase the NW temperature. Instead, the absorbed thermal energy is conserved by frequency up-conversion to the TIR confinement frequency of the NW by QED. TIR stands for total internal reflection and QED for quantum electrodynamics. 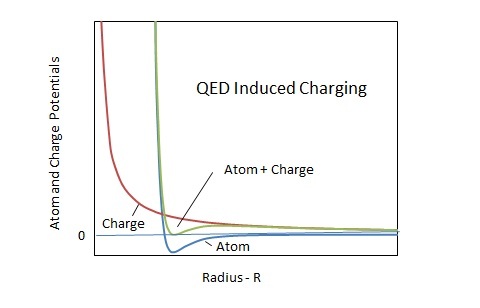 Under TIR confinement, QED converts the thermal energy into excitons (holon and electron pairs) by the photoelectric effect, the consequence of which is the atoms are charged producing a state of hydrostatic repulsion within the NW. Molecular dynamics simulations that exclude temperature changes consistent with QM show the stiffening of NW’s is caused by the QED induced charge repulsion between atoms. In this way, the usual uniaxial stress state is changed to triaxial having a Poisson effect that increases the wire diameter under tension and enhances the Young’s modulus of the NW. Extensions show QED induced charge repulsion explains the NW stiffening observed if the NW absorbs any form of EM energy - electron beam irradiation or from the Joule heat produced by passing current through NWs. Molecular Dynamics or MD is commonly used in computational heat transfer to determine the heat transfer in nanostructures. With theoretical basis in statistical mechanics, MD relates the thermal energy of the atom to its momentum by the equipartition theorem. Momenta of atoms in an ensemble are determined by solving Newton’s equations with inter-atomic forces derived from Lennard-Jones potentials. Statistical mechanics assumes the atom always has heat capacity as otherwise the momenta of the atoms cannot be related to their temperature. In heat transfer simulations of bulk materials, MD simulates the continuum by imposing periodic boundary conditions on an ensemble of atoms having heat capacity in submicron computation boxes. MD simulations of the bulk are valid because atoms in the bulk do indeed have heat capacity. In nanoelectronics, light absorption is known to create excitons (holon and electron pairs) that separate under an electric field into free carriers that change the resistance of circuit elements. However, light absorption itself is not required as the Joule heat within the submicron circuit element may be induced by QED to create excitons. QED stands for quantum electrodynamics. 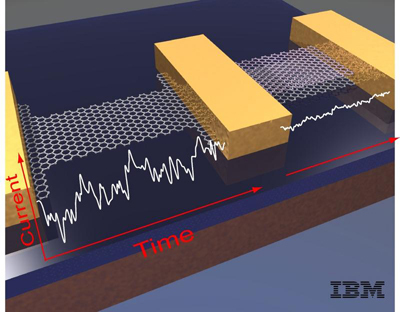 Graphene comprising 2-D sheets of single carbon atom monolayers is of great interest in field-effect transistors (FETs). Currently, the heat transfer analysis of Joule heating in FETs is derived with classical physics. However, QM differs by requiring the graphene to emit QED induced non-thermal EM radiation. QM stands for quantum mechanics and QED for quantum electrodynamics. Finding basis in the QM requirement that the heat capacity of the atom vanishes under TIR confinement at the nanoscale, Joule heat from passing current through FETs cannot be conserved by an increase in temperature. TIR stands for total internal reflection. Instead, conservation proceeds by the QED induced frequency up-conversion of the Joule heat within the FET to non-thermal EM radiation at the TIR confinement frequency of the carbon monolayer. 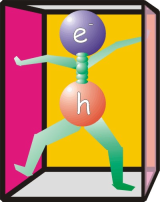 EM stands for electromagnetic. However, the QED radiation emitted from the graphene is not included in the solution of the Fourier diffusion eqauation the consequence of which is the temperature of the graphene is thought to increase in excess of 1000 K instead of not increasing at all as required by QM. Today, spatially resolved Raman spectroscopy based on the 2D-phonon band near 2700 /cm is used as a microscopic thermometer to infer the local temperature distribution in graphene FETs. However, the notion that effective temperatures may be inferred for a particular vibration mode has a long history of controversy showing the multi-phonon excitation of molecules is not equivalent to thermal heating. The problem with assigning an effective temperature to a particular vibration mode of a molecule is best explained by the difference between QM and statistical mechanics. The 4th International Conference on Ultrafine Grained and Nano-Structured Materials (UFGNSM) is to be held in Tehran, Iran on 5-6 November 2013. Setting politics aside, the scientific topic selected for discussion is the validity of MD in heat transfer of UFGNSM. MD stands for molecular dynamics. In computational physics, MD is thought to provide a valid method to derive the atomistic heat transfer response of UFGNSM. MD finds basis in statistical mechanics that assumes atoms always have heat capacity. In the continuum, atoms do indeed have heat capacity, and therefore MD simulations of the continuum made by imposing periodic boundary conditions on an ensemble of atoms are therefore unequivocally valid. Unlike the continuum, nanostructures comprise discrete ensembles of atoms that lack the periodicity necessary to allow the atom to have the heat capacity required by statistical mechanics. Instead, the heat capacity of the atom is given by QM depending on its EM confinement. QM stands for quantum mechanics and EM for electromagnetic. Nanostructures have high surface to volume ratios, and therefore absorbed EM energy is almost totally absorbed in their surfaces by TIR. TIR stands for total internal reflection. TIR provides EM confinement at short wavelengths shorter than optical frequencies, and therefore by QM the heat capacity of the atom vanishes. Lacking heat capacity, QED induces the absorbed EM energy to be conserved by up-conversion to EM radiation at the TIR frequency of the nanostructure. QED stands for quantum electrodynamics. The QED induced radiation creates excitons that charge the nanostructure or upon recombination are lost to the surroundings. EM confinement by TIR is not permanent, sustaining itself only during the absorption of EM energy. Absent EM energy absorption there is no TIR confinement and QED induced radiation is not created. Cancer therapy without the side effect of DNA damage to normal tissue remains perhaps the greatest challenge to medicine. In PDT, NPs with or without non-specific photosensitizers are claimed to destroy cancer tumors upon irradiation with IR lasers. PDT stands for photodynamic therapy, NPs for nanoparticles, and IR for infrared. However, the side effect of PDT is DNA damage as the photosensitizer also binds to adjacent normal tissue cells. Recently, PIT is claimed to avoid the side effects of DNA damage in PDT by selective destruction of cancer tumors. PIT stands for photoimmunotherapy. PIT differs from PDT by using MAb molecules instead of NPs. MAb stands for monoclonal antibody. MAb molecules bind to specific proteins on the cancer cell membrane. 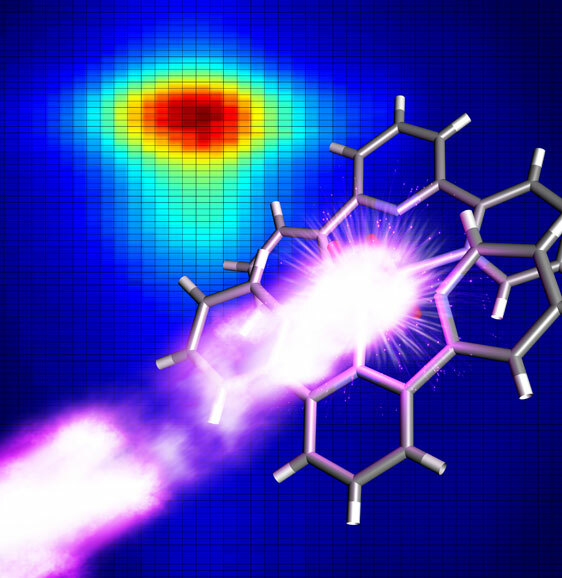 Upon activation by IR light, PIT is claimed to only destroy cancer cells having MAb bound to their cell surface. The PIT mechanism given for tumor necrosis is described by the rapid expansion of local water upon the formation of holes in the cancer cell membrane. However, the rapid expansion of water most certainly cannot proceed without DNA damage of adjacent normal tissue. DNA damage in PIT is not reported, but like PDT the cancer cells are not destroyed without DNA damage. In normal tissue, DNA damage may occur by alkylating agents and ionizing EM radiation. But alkyl reactions also emit EM radiation, thereby allowing the hypothesis that genotoxicity may be reduced by agents that absorb ionizing UV radiation from the cancer itself. The hypothesis is supported by the fact chemotherapeutic drugs that destroy cancer tumors are also UV absorbers. 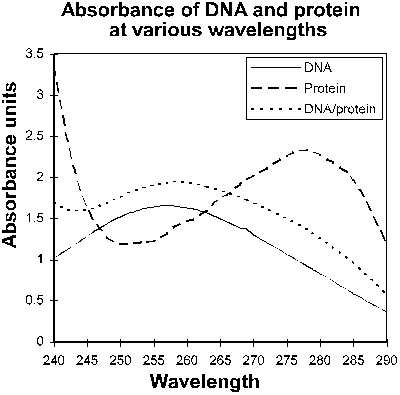 However, the UV absorption spectrum of DNA is broadband, and therefore it is unlikely the DNA can never be not damaged by any combination of chemo-drugs. DNA damage to normal tissue must therefore occur evidenced by the recurrence of cancer after chemotherapy. In this arrangement, NPT is proposed to protect the DNA by absorbing all UV radiation independent of its frequency spectrum. NPT stands for nanoparticle therapy. Unlike PDT that uses < 100 nm NPs to destroy cancer tumors, NPT does not destroy tumors, but rather absorbs all UV radiation by using > 300 nm NPs. NPT protects against DNA damage by QED inducing the red-shift of UV radiation irrespective of frequency to non-damaging IR radiation. QED stands for quantum electrodynamics. 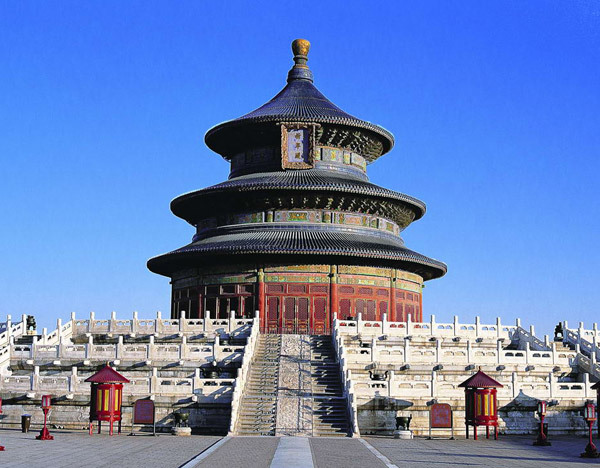 In this regard, NPs > 300 nm are therefore perfect UV absorbers. See Paper . Driving metal nanocrystals through nanotubes by electrical current is commonly observed for crystals that can easily slide within the tube. The mechanism by which the crystal moves is not well understood, although generally thought to be electromigration whereby flowing electrons transfer their momentum in collisions to the atoms. What happens when the nanotube has a constriction smaller than the crystal? Obviously, the constriction blocks the crystal motion. But experiments show an iron crystal somehow slips through the constriction. Of course, if the crystal is heated beyond its melting point and becomes a liquid it could flow through the constriction. Or, if the crystal under high electromigration force may undergo plastic deformation, the crystal could be extruded through the constriction. However, temperatures are near ambient and the electromigration force relatively low to preclude extrusion, and therefore another mechanism is at play. In the alternative to electromigration, crystal motion is proposed driven by charge created from EM radiation induced from the conservation of Joule heat by QED. EM stands for electromagnetic and QED for quantum electrodynamics. Conservation proceeds by the creation of non-thermal EM radiation at the TIR resonant frequency of the nanocrystal. TIR stands for total internal reflection. Lacking heat capacity by QM, QED conserves the Joule heat at the TIR frequency of the crystal by creating excitons (holon and electron pairs) that charge the crystal or upon recombination are emitted as EM radiation to the surroundings. QED induced EM radiation ionizes the iron atoms within the crystal at QM energies > 7.9 eV liberating electrons and leaving the crystal highly charged. In fact, the crystal undergoes a Coulomb explosion, although the atoms are contained within the nanotube. In effect, QED induces the Joule heat to charge the crystal to create a loosely bound state of atoms that allows the crystal to easily slip through the constriction. However, only a small fraction of the Joule heat is converted to a QED force as almost all the Joule heat is lost as EM radiation to the surroundings. In the crystal, QM precludes conservation of Joule heat by an increase in temperature, and instead charge is created at the nanoscale that otherwise at the macroscale would increase the atom temperature. QM stands for quantum mechanics. The amount of Joule heat necessary to create the charge necessary to just 'loosen' the atoms may be estimated by equating the L-J potential having an attractive maximum energy epsilon at radius 2^1/6 sigma to the repulsive Coulomb potential. L-J stands for Lennard-Jones and (sigma, epsilon) are the L-J parameters for iron. Measuring the thermal properties of nanoscale samples at any temperature, let alone temperatures of 4000 K is, to say the least, quite controversial. Nevertheless, claims have been made that a thermal test platform is capable of operating at extreme temperatures as high as 4000 K while allowing local temperatures to be inferred with nanoscale resolution. The thermal test platform comprises a suspended Si3N4 membrane on which are placed gold NPs that act as thermometers noted above as nano crystals. NP stands for nanoparticle. Current is shown passing through the membrane provides the Joule heat that is thought to create the extreme temperatures. Gold NPs <10 nm are thought to allow local temperatures to be inferred because they evaporate immediately upon melting, e.g., 6 nm NPs are considered to melt at 1275 K. In measurements, temperatures at a point on the platform at the instant the evaporating NPs disappear are inferred to be 1275 K.
However, claims the thermal platform allows the extreme temperature response of nanoscale samples to be inferred from the evaporation of gold NPs may be safely dismissed by QM. QM stands for quantum mechanics. Yet, the QM restrictions are not limited to the instant thermal platform based on temperatures for the vaporization of NPs, but rather more generally to the wide spread use of classical physics in nanotechnology. In classical physics, the heat capacity of the atom is constant at kT from the macroscale to the nanoscale. Here, k is Boltzmann's constant and T absolute temperature. The instant thermal platform that infers temperature from the vaporization of gold NPs is therefore consistent with classical physics, but unfortunately not QM. In fact, QM by the Einstein-Hopf relation for the atoms in the NPs as harmonic oscillators requires the heat capacity to vanish. See Paper "Zero Specific Heat"and Presentation here on page 2010. At the nanoscale, heat may only be conserved by QED induced EM radiation. QED stands for quantum electrodynamics and EM for electromagnetic. Indeed, absorbed EM energy of any kind in a nanoscale sample cannot be conserved by an increase in temperature because QM requires the atom to have vanishing heat capacity under its own TIR confinement. TIR stands for total internal reflection. Instead, conservation proceeds by the creation of non-thermal EM radiation at the TIR resonant frequency of the nanoscale sample. Lacking heat capacity by QM, QED conserves the Joule heat at the TIR frequency of the NP by creating excitons (holon and electron pairs) that charge the NPs or upon recombination are emitted to the surroundings as QED radiation. Heat Capacity of Folding Proteins? Historically, the laws of thermodynamics are formulated on relationships among quantities of free energy G, enthalpy H, and entropy S. Whether a system may proceed from one state to another has been shown to depend on changes ΔG, ΔH, and ΔS. However, over the past 30 years, biological experiments of proteins have contrarily shown the laws of thermodynamics need revision based on DSC measurements that show the heat capacity Cp of proteins changes from folded to unfolded conformations. Generally, DSC is the accepted method to obtain experimental ΔCp data between folded and unfolded protein conformations. DSC stands for differential scanning calorimetry. In DSC , the heat Q supplied to a sample protein and solvent in an open or covered pan at a given temperature is measured and compared to that of a reference of solvent only at the same temperature as shown above.The DSC experiments show the protein has higher heat capacity in the unfolded state than when folded. However, QM in the harmonic region requires the heat capacity of the protein at ambient temperature to vanish at conformations having frequencies higher than the near IR. QM stands for quantum mechanics. Heat capacities in the anharmonic region do not vanish, but protein conformations typically vary only from the IR to the UV.Regardless, there should be no change in heat capacity.